ME-TECH 2019 – 9th Middle East Technology Forum for Refining & Petrochemicals took place from 26-28 February in Abu Dhabi with ADNOC as the Strategic Partner. ME-TECH 2019 welcomed 350+ delegates from the refining and petrochemical industry, making 2019 the biggest edition of the forum so far. ME-TECH is the essential meeting place for the Middle East Downstream industry and an excellent platform to keep up-to-date with developments in this important region. 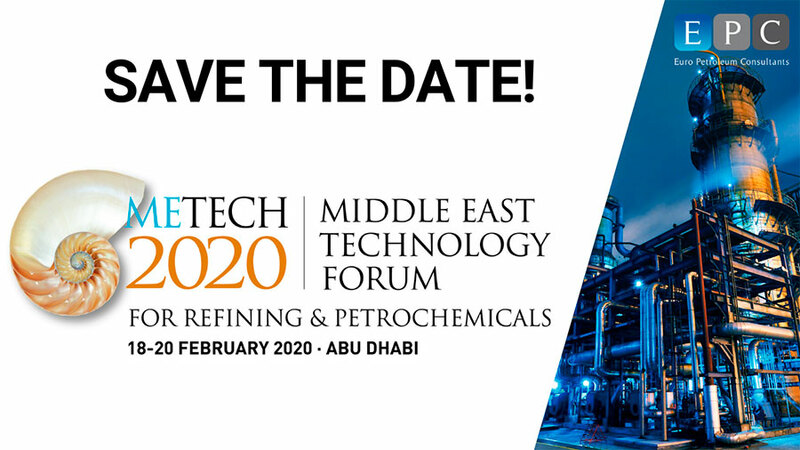 We are delighted to announce ME-TECH 2020 will take place from 18-20 February 2020 in Abu Dhabi. Now in its 10th successive year, ME-TECH continues to attract the best of the Downstream sector, bringing together senior representatives and specialists from regional end-user companies with the leading licensors, technology companies and innovative service and solutions providers. The aim is to share latest projects, discuss market trends and the challenges and opportunities that come with them and become updated about the latest technological advances which will drive the refining and petrochemicals industries towards greater growth and efficiency. The agenda and program was very relevant to the present day’s needs and how refiners can improve their plants with latest improvements in technology. Presentation and venue was remarkable. Excellent Content, excellent set-up, excellent location. I will continue to attend as the insights obtained from the conference are very valuable. This event is very important for all refining managers to develop our plants. The METECH conference in Abu Dhabi was an excellent event with top notch speakers and attendance, well-organized venue and accommodation and the continuous support of the EPC Team and level of details was a winning combination that makes you not want to miss their future event.